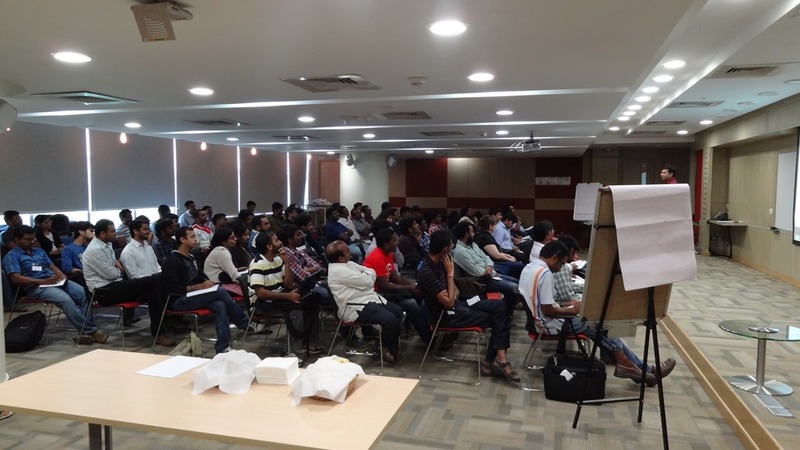 I had the opportunity to speak at the SQL Bangalore UG Meet on 22nd December 2012. A big thank you to Vinod Kumar (B | T) for organizing this meet!! The topic that I presented on was the SQL Server System Health Session which has been there since SQL Server 2008 and has been further enhanced in SQL Server 2008. Presentation delivered at the meet is available above! As usual it was good fun presenting at the session! And what I really like about such sessions is that I get to meet the #SQLFamily in person!! In this post, I am going to talk about the use of Dynamic Management Functions to extract the query plans from the cache using sys.dm_exec_query_plan. Now the first thing that you need to keep in mind is that the cached query plans obtained from the procedure cache using the DMV sys.dm_exec_cached_plans are estimated plans. So you will not be able to fetch runtime information from the cached query plan but you can definitely loads of useful information from even the estimated plan as discussed in my earlier posts in the series. But one of the benefits of writing T-SQL queries is that you have the benefit of DMVs and DMFs that you can leverage and without having to shred XML plans, you can view a large amount of statistics regarding these “cached” plans. Since only information about cached plans are maintained by the database engine, you will not be able to view statistics and plans of queries which were executed but their plans were either not cached or have been flushed out of the cache. So… Let’s begin the fun… This time around, I shall use a stored procedure to demonstrate the benefit of generating plans from the plan cache and shredding them. You could use sys.dm_exec_query_stats to get various runtime statistics for the cached plans in the SQL Server procedure cache. However, the compilation statistics is something that needs to be fetched from the XML plan itself. If you are interested in the SET options, then these are available from the ouptut of the sys.dm_exec_plan_attributes function. Now the sys.dm_exec_plan_attributes will provide me with the SET options and other important attributes of the plan like the execution hits, misses and free cache entries. The SET options of the output are reported as an integer value which makes the deciphering of the same a bit of task with bit mask operations. I have modified the script used in my previous post to fetch information from the XML plan by adding additional parameters to fetch information from the cached plans. The additional query that I am using in this episode of the series is the query shown below other than the attribute information fetched using the DMF mentioned above. The query below gives me the query plan (estimated) and the T-SQL command(s) for the query. Here I used the query to give me information about the TOP duration plan for a single database. The sys.dm_exec_query_stats DMV gives me useful information about the query plans that I am inspecting which can reduce the overhead of collecting profiler traces to gather the execution statistics. However, the execution statistics are available for plans which were cached ONLY. The above query gives you all the different queries that were executed which have similar query plan and query text. This can only be used for SQL Server 2008 instances and above as the query plan hash and query hash features are not available in SQL Server 2005 versions and below. Once you have the above output, you can use the query plan hash to get the plan_handle(s) from sys.dm_exec_query_stats DMV output and use the values to get the XML plan and various nuggets of information from the XML using the script below. This Sample Code is provided for the purpose of illustration only and is not intended to be used in a production environment. THIS SAMPLE CODE AND ANY RELATED INFORMATION ARE PROVIDED &quot;AS IS&quot; WITHOUT WARRANTY OF ANY KIND, EITHER EXPRESSED OR IMPLIED, INCLUDING BUT NOT LIMITED TO THE IMPLIED WARRANTIES OF MERCHANTABILITY AND/OR FITNESS FOR A PARTICULAR PURPOSE. We grant You a nonexclusive, royalty-free right to use and modify the Sample Code and to reproduce and distribute the object code form of the Sample Code, provided that You agree: (i) to not use Our name, logo, or trademarks to market Your software product in which the Sample Code is embedded; (ii) to include a valid copyright notice on Your software product in which the Sample Code is embedded; and (iii) to indemnify, hold harmless, and defend Us and Our suppliers from and against any claims or lawsuits, including attorneys’ fees, that arise or result from the use or distribution of the Sample Code. Description: T-SQL script to fetch plan attribute information, compilation/execution statistics and missing index information from a query plan. -- Insert XML plan below or modify the query below to fetch the TOP 1 plan based on database and CPU or duration or reads or writes. As you have noticed, this is Part 1 of breaking dawn… The last post on the XML Plans Saga will be Breaking Dawn Part 2 and stay tuned for some more fun with XML plans in that post.